The KMC XD Series XD229 Machete Crawl machined beadlock wheel is an off-road use only wheel. It is not DOT approved for road use. The XD229 Machete Crawl wheel is designed for rock crawling use. 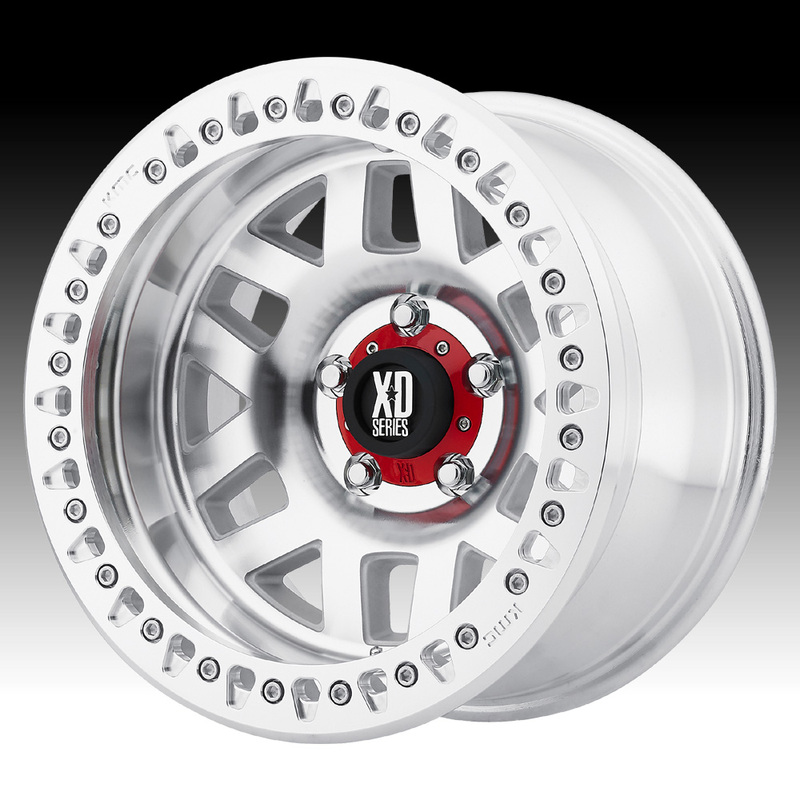 17x9 5x127 -38 XD22979050538N $452.00 41.15 Lbs -->> Call or email for special deals! 17x9 5x139.7 -38 XD22979055538N $452.00 41.15 Lbs -->> Call or email for special deals! 17x9 8x165.1 -38 XD22979080538N $452.00 41.15 Lbs -->> Call or email for special deals! 17x9 Blank / 135-170 -38 XD2297900M538N $476.00 41.15 Lbs -->> Call or email for special deals! 17x9 Blank / 135-170 -38 XD2297900L538N $476.00 41.15 Lbs -->> Call or email for special deals!